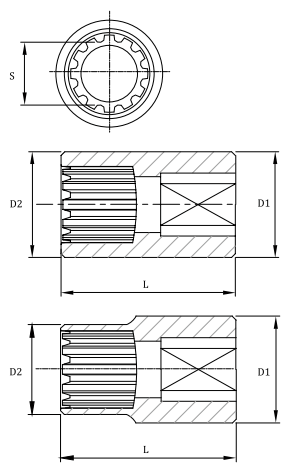 Tien-I Spline socket with Precise, radial spline teeth engage the fastener over a winder area, so the design allows user to apply more torque without damaging tool or fastener head. Spline sockets can be used on spline fasteners, as well as on 4, 6, and 12 point fasteners. Spline sockets with high performance are applicable to all nuts and bolts in military equipment and commercial aircraft.